Screenshot/PocketnowSapphire furnaces are GTAT’s main product. Apple’s former sapphire supplier, GT Advanced Technologies (GTAT), filed for bankruptcy protection in October. We’re learning more about exactly why GTAT went under, thanks to recent court filings. Apple partnered with GTAT last October to produce sapphire display covers for the iPhone 6 and Apple Watch. Apple, in separate filings, has said it “bent over backwards” to work with GTAT. But Squiller’s affidavit reveals the real reason the Apple/GTAT deal went south: Apple asked GTAT to develop a new business. “The Apple Agreements shifted the GTAT Group’s sapphire business model from being primarily an equipment manufacturer to also being a sapphire materials manufacturer,” said Squiller. Until partnering with Apple, GTAT wasn’t a sapphire manufacturer, strictly speaking. Their primary product is the furnaces used to produce and refine sapphire material. 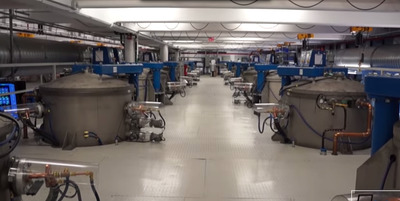 At the outset of negotiations, Apple had offered GTAT what would have been the company’s largest sale ever: an order for 2,600 sapphire growing furnaces…In hindsight, it is unclear whether Apple ever intended to purchase any sapphire furnaces from GTAT. Indeed, after months of extensive negotiations over price and related terms, Apple demanded a fundamentally different deal. The immediate cause of GTAT’s bankruptcy was the company’s inability to produce sapphire that Apple would accept. But considering the risks Apple was asking GTAT to take, it’s no surprise the deal fell through.